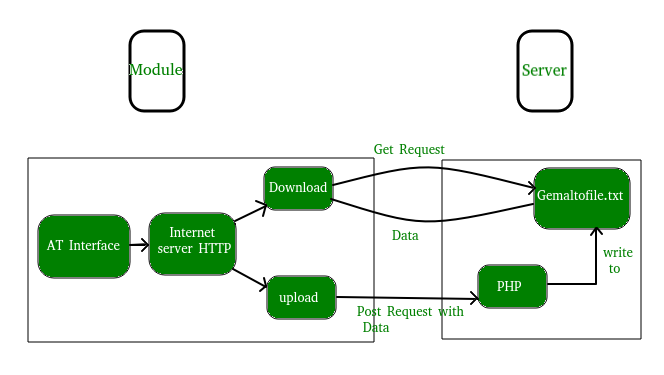 HTTP (Hypertext Transfer Protocol) request methods GET and POST requests in Python. HTTP is a set of protocols designed to enable communication between clients and servers. It works as a request-response protocol between a client and server. GET : to request data from the server. POST : to submit data to be processed to the server. Here is a simple diagram which explains the basic concept of GET and POST methods. location = "delhi technological university"
The URL for a GET request generally carries some parameters with it. For requests library, parameters can be defined as a dictionary. These parameters are later parsed down and added to the base url or the api-endpoint. Here we create a response object ‘r’ which will store the request-response. We use requests.get() method since we are sending a GET request. The two arguments we pass are url and the parameters dictionary. Now, in order to retrieve the data from the response object, we need to convert the raw response content into a JSON type data structure. This is achieved by using json() method. Finally, we extract the required information by parsing down the JSON type object. This example explains how to paste your source_code to pastebin.com by sending POST request to the PASTEBIN API. First of all, you will need to generate an API key by signing up here and then access your API key here. Here again, we will need to pass some data to API server. We store this data as a dictionary. Here we create a response object ‘r’ which will store the request-response. We use requests.post() method since we are sending a POST request. The two arguments we pass are url and the data dictionary. In response, the server processes the data sent to it and sends the pastebin URL of your source_code which can be simply accessed by r.text . requests.post method could be used for many other tasks as well like filling and submitting the web forms, posting on your FB timeline using the Facebook Graph API, etc. When the method is GET, all form data is encoded into the URL, appended to the action URL as query string parameters. With POST, form data appears within the message body of the HTTP request. In GET method, the parameter data is limited to what we can stuff into the request line (URL). Safest to use less than 2K of parameters, some servers handle up to 64K.No such problem in POST method since we send data in message body of the HTTP request, not the URL. Only ASCII characters are allowed for data to be sent in GET method.There is no such restriction in POST method. GET is less secure compared to POST because data sent is part of the URL. So, GET method should not be used when sending passwords or other sensitive information.